I recently had the pleasure to be the coach once again for the Ontario Summer Games (OSGs), this year was held in Mississauga Ontario. This year was special for the athletes because it was the largest Ontario Summer games in history, awarding over 2000 awards in total. This year’s opening ceremonies were very cool, it reminded me of when I went to the Canada Winter Games. The athletes entered into a whole arena full of fans cheering them on, and they had a bunch of live entertainment. The opening ceremonies were even streamed for the first 45 minutes. 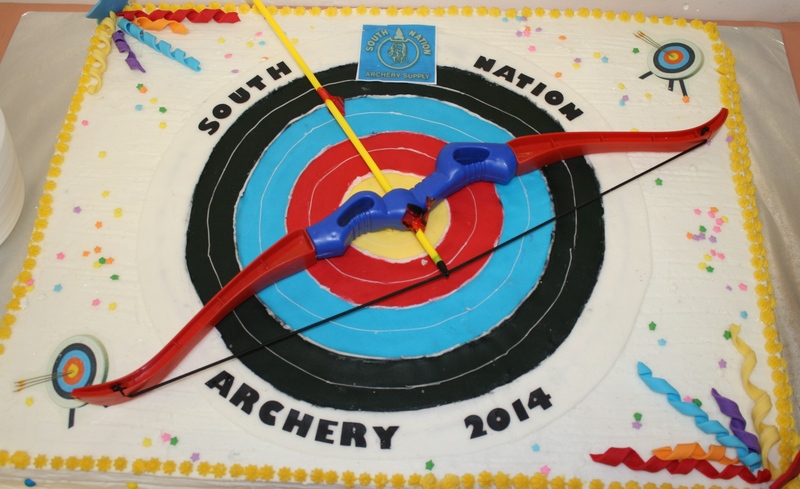 This year was also a big year for the archery event as well, for this was the first year that they change the OSG format. This year they decided to shoot two 720s the first day and the second day shooting at 720 with a round robin of matchplay and match set. Archery lingo inside, basically it means instead of shooting three distances they only shot one distance the three days. I personally think that the exposure to match play and set would be beneficial for future athletes because the tournament type would be like international events (e.g. olympics). The tournament was an eventful year for the Eastern zone, it was definitely full of experience that these athletes will learn from and remember for the rest of their lives. They learned how to shoot in; high winds, high humidity, heat, and down pouring rain with chances of thundershowers. They learned the importance/how to keep equipment and scorecards dry. We were very fortunate to have found some towels and a laundry card that we can dry the equipment with, thank goodness I brought a hair dryer for all the shoes. This year the committee decided that to make sure that all the athletes had a chance to experience the matchplay and match set they decided to do a round robin. Traditionally match play and match set are done in a single elimination format (or double elimination rounds if you’re in Canada). The archers seemed to really enjoy a different shooting format, after understanding the rules for the match play and match set. However, by the end of the day all the archers were completely exhausted by the end of the day. As a coach I was completely ecstatic with the results, after all these athletes had faced challenges that most had never faced before (e.g. equipment failures, whether, or even being independent from their parents). Eastern zone did fantastically well taking home a large portion of not only the 720 medals but also for the round robin medals. The results are posted on the OSG and the OAA websites. I hope I have the pleasure to be the coach for the Eastern zone in the 2018 OSGs in London Ontario, and if I’m super lucky I get to see these kids again. For all my eastern zone archers that are reading, it was a pleasure to get to know you and to shoot with you. Congratulations Crispin and the entire Canadian Team!!! Canada’s para-archery team won three medals at the 2013 Czech Target international para-archery tournament in Nove Mesto nad Metuji, Czech Republic. This year’s team consisting of Alec Denys of Warsaw, ON, Kevin Evans of Jaffray, BC, Bob Hudson of Leoville, SK, Norbert Murphy of Vaudreuil-Dorion, QC and Karen Van Nest of Wiarton, ON had a terrific finish capturing two gold and a silver. 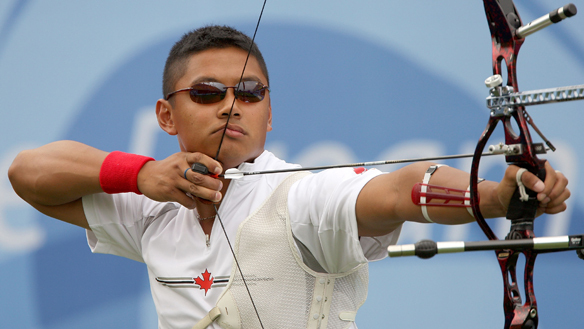 First, Norbert Murphy, Canada’s 2012 Para-Olympian bronze medalist, captured gold in the Compound Bow Men’s ARW1 category after defeating Peter Kinik of Slovakia in a one-shot tie-breaker. Second Karen Van Nest captured the silver in Compound Bow Class Open Women losing to number one ranked Stepanida Artakhinova of Russia. However, Karen Van Nest teamed up with Kevin Evans to turn the tables and capture the Gold in the Compound Mixed Team by defeating number one ranked Mikhail Ivanov and Stepanida Artakhinova of Russia. Congratulations to the whole team on a very successful trip to CzechRepublic. Canada captured the compound mixed team bronze medal at FITA World Cup in Turkey in June. After finishing 15th in the qualifying round the team of Dietmar Trillus of Ontario and Ashley Wallace of Alberta had an uphill battle, first facing the second ranked Korean team. After defeating Korea 151-148, they faced seventh ranked Mexico narrowly winning 151-150 to face third ranked India. Sergio PAGNI and Marcella TONIOLI of eighth ranked Italy captured the Gold medal defeating India in the Gold Medal match.